Buy Original, Pure Multi-floral Honey - Dark Honey has more mineral and is good for your health|ABK® Buy Worlds Best Saffron, Walnuts, Acacia Honey, Morels & more! Honey is the most wonderful gift of God to the mankind. It is the sweetest way to get your daily dose of essential nutrients - carbohydrates, minerals, amino acid , proteins and vitamins. Honey provides instantaneous replenishment of energy losses. Honey serves as a general tonic for all ages. 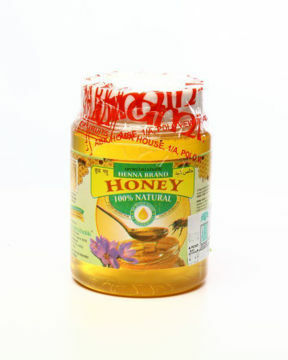 Generally , light or golden coloured honey are preferred by the consumers; but dark honey have more minerals are preferred by the health conscious consumers. This multifloral honey is dark in colour and rich in minerals. One tree Kashmir almond kernels. 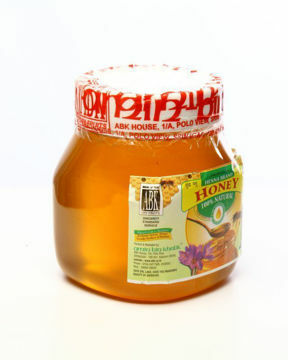 Premium quality of Acacia Honey from Kashmir, India. This Honey is not too sweet since there isn't any added sugar in it and, it keeps forever - Just that it should not get moist. Acacia Honey is specific to Kashmir and is among our best-selling Honey. Black cumin from Kashmir (Gurez). Salted long pistachios from Iran. 100% Pure Kashmir Saffron, 2 gm. PURE AND NATURAL SAFFRON available ONLINE in India. Our saffron is warranted to be 100% pure and without any foreign matter. At ABK we assure you Quality Saffron, which has been our forte since 1972.